This revised and updated new edition retains the clear and powerful argument which characterized the original. It gives a valuable analysis of the theory and practice of sustainable development and suggests that at the start of the new millennium, we should think radically about the challenge of sustainability. Fully revised, this latest edition includes further reading, chapter outlines, chapter summaries and new discussion topics, and explores: the roots of sustainable development thinking and its evolution in the last three decades of the twentieth century the dominant ideas within mainstream sustainable development the nature and diversity of alternative ideas about sustainability the problems of environmental degradation and the environmental impacts of development strategies for building sustainability in development from above and below. 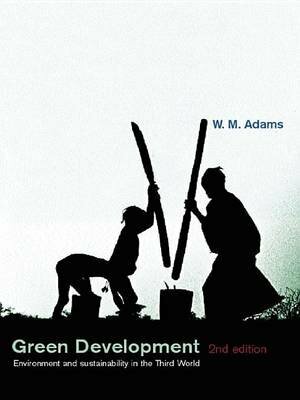 Offering a synthesis of theoretical ideas on sustainability based on the industrialized economies of the North and the practical, applied ideas in the South which tend to ignore 'First World' theory, this important text gives a clear discussion of theory and extensive practical insights drawn from Africa, Latin America and Asia.